Two businessmen have been jailed for their part in a £200,000 conspiracy to pass off horsemeat as beef. The plot was exposed after horse identification chips were found in supermarket ready meals by inspectors. Andronicos Sideras, 55, who mixed the meats before selling them on, was jailed for four years and six months for fraud, at Inner London Crown Court. His supplier, Ulrik Nielsen, 58, was jailed for three years and six months after admitting his role in the plot. Nielsen's company FlexiFoods would get horsemeat and beef delivered from Europe to Sideras' company, Dinos & Sons, in north London. The plot came to light after horse identification chips were found in the meat by inspectors. Alex Beech, 44, from Hull, described as Nielsen's "right-hand man", was given an 18-month sentence, suspended for 12 months, for arranging the transfers and keeping accounts. Labels and paperwork were fabricated to make the mixed meat appear like pure beef, before it was sold on to food manufacturers making products for a "vast range of well-known companies". The conspiracy involved 30 tonnes of horsemeat, 20 of which were destined for the food chain and 10 of which were sent to a cold store elsewhere, police said. City of London Police said officers investigating the horsemeat scandal sifted through 12 tonnes of animal flesh by hand as part of the investigation. The chips belonged to two horses from Poland and one from Ireland. The overall face value of the fraud was £177,000 but the true cost was likely to have run into millions of pounds, the force added. At the time beef could be sold for three Euros per kilogram while horsemeat was cheaper at two Euros per kilogram, the court heard. 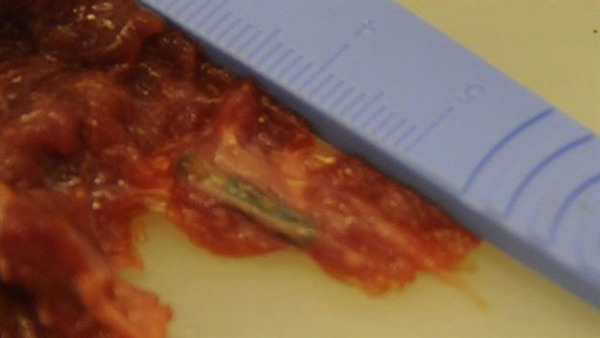 Identification chips belonging to horses named Trak and Wiktor from the Lodz region of Poland, and a third Irish hunter horse called Carnesella Lady from county Galway were found in the meat in 2012. The animals had not been sold for slaughter and there is no suggestion the owners had any involvement in the conspiracy, police said.